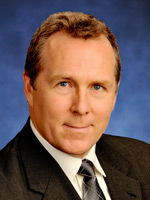 Board of Directors | Company | Cartier Resources Inc.
Mr. Laliberté has more than 30 years of experience in finance and accounting with extensive experience in the mining sector. Mr. Laliberté is also self-employed since 2006 and served as Chief Financial Officer for several junior exploration public companies. Prior to that, for 16 years, he worked with Richmont Mines Inc. and Louvem Mines Inc., two gold producers, serving as Vice President, Finance. From June 2007 to May 2015, he has served as Chief Financial Officer of Cartier Resources Inc. and as Director since May 2012. He is also Director and Chairman of the Audit committee at Orbit Garant Drilling Inc., a company listed on the TSX since June 2008. Mr. Laliberté holds a Bachelor degree in Accounting and is a member of the Professional Chartered Accountant (CPA, CA) and an ICD.D certification granted by the Institute of Corporate Directors. Daniel Massé, B.Sc., Adm.A. Pl.Fin. Mr. Massé is a graduate of Laval University with a B.Sc Actuarial Science (1989) and a certificate in financial administration (1990). Daniel Massé is President and Chief Executive Officer of GFM Groupe Financier, a financial services and financial planning firm (1996) and DM Actuariat Inc., a firm specializing in the evaluation of personal injury (2006). 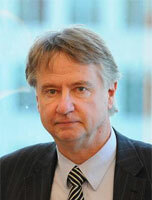 He is a member of the Order of Chartered Administrators of Quebec and the Quebec Institute of Financial Planning. He is also a member of the RIA (Responsible Investment Association). Daniel Massé has also held various key roles in several public organizations, such as the Chamber of Commerce of Val-d’Or (2004 to 2012), the Federation of Chambers of Commerce of Quebec (2004 to 2006), CLD Vallée-de-l’Or (2007 to 2013) and the Val-d’Or Hospital Foundation (1999 to 2003). He also chaired the realization of La Cité de l’Or, the conversion of the former Lamaque mine into a tourist site. Mario Jacob, ASC has been Vice-President and COO of NCP Investment Management since March 2012 and President and Director of Maximus Capital Inc., a consulting firm specialized in corporate financing and reorganization, since November 2003. He has been a lawyer and a member of the Barreau du Québec since 1995 and certified director since 2009 (ASC). He was Director of Osisko Exploration James Baie inc. from February 2015 to February 2016. He was director of Virginia Mines inc. from November 30, 2005 to February 2015. He has been Director of Cartier Resources Inc. (TSX Venture: ECR) since May 2007 and Dundee Sustainable Technologies inc. (TSX Venture: DST) since July 2016. He was Vice President and Director of LBJ Partners Inc., a private management corporation, from October, 2000 until November, 2003. 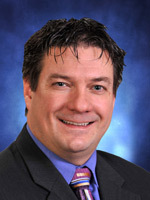 He was partner at Flynn Rivard, lawyers, from January 1996 until October 2000. 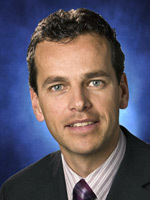 Michel Bouchard is a company Director. He has been involved in the exploration, development and production aspects of the mining sector for over 30 years. Mr. Bouchard has been and still is a director of several public companies in the mining sector. He holds a BSc and MSc in Geology, as well as an MBA. He is credited with the co-discovery of the Bouchard-Hebert Mine in north western Quebec. 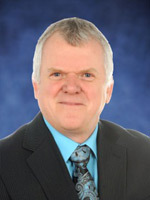 He has held Senior Executive positions at Aiguebelle Resources Inc., Audrey Resources Inc., Lyon Lake Mines Ltd., SOQUEM, McWatters Mines Inc., Cadiscor Resources Inc. and held the position of Vice President, Exploration and Development for North American Palladium Inc. and President of NAP Quebec Inc. From 2011 to 2016, he was President and Chief Executive Officer of Clifton Star Resources Inc.